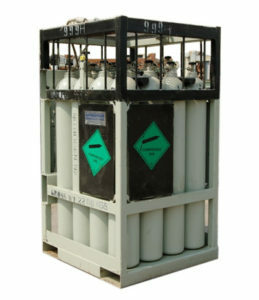 We, Axcel gases along with our associated companies are a renowned Methane Gas manufacturer, supplier and exporters in India. Methane is a chemical compound which is highly flammable, non toxic, non corrosive, colorless and odorless gas in its pure form. It has got a boiling point of -161.4°C (-258.6&degF). Methane is mainly a natural gas which is available under earth and under sea bed. Major source of Methane are coal fields and natural gas fields under the earth. In Atmosphere also, it is available but in very less concentration level. Methane can also be produced or collected from biogas plant or waste water sludge treatment plants. It is highly unstable in nature when available in gas form at standard pressure and temperature. To store and to transport it, it is liquefied for ease and safety of handling. This liquefied gas is then transferred in Methane Gas Cylinders and supplied to diverse industries / laboratories for their respective use. Methane is available in different purity grades and concentrations to meet the specific requirement of diverse industries. We have in house laboratory equipments to check the level of purity as well as concentrations. Methane is majorly used as a source of energy for various applications. Our experienced professionals can use their knowledge to provide you solution to fulfill your unique requirements. As a fuel gas in Gas turbines and steam generators to generate electricity. As a Fuel gas in automobiles. Methane is a major constituent of CNG / LNG used to run the automobiles. As rocket fuel in space craft industry. 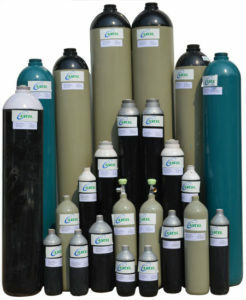 As a industrial component for manufacturing of Ammonia and fertilizers and explosives. These are some of the common uses of Methane. There are various other ways in which Methane can be used in a particular industry or process.